Placement of the Fibre link order with our Telco fulfilment team. Initiate a quote request with our supplier, costing and planning of the project based on backend administration. Placement of the Fibre link order externally with suppliers. Coordination and allocation of work to sub-contractors and internal teams. 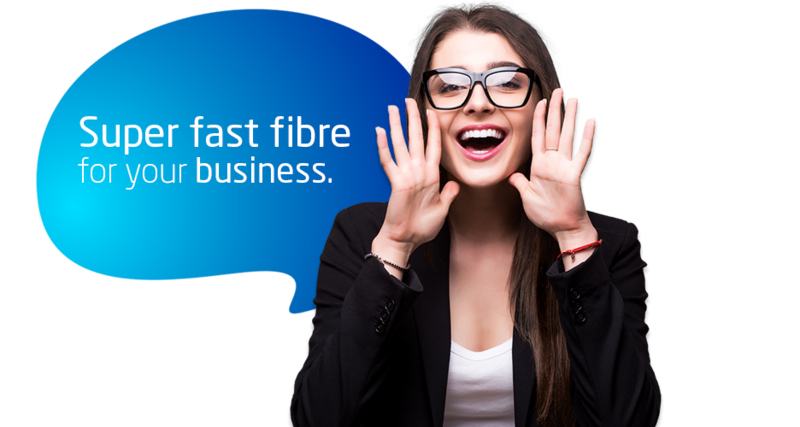 Our supplier will be sending different fibre contractors to do a site survey. The site survey will clarify the spec of work on site and will indicate lead times thereof. The planning team will comply a planning document inclusive of a survey report, project requirements, site information, access requirements, technical requirements, detailed route builds with photos. Based on the planning documents, the landlord need to sign consents for build work to commence on their property. In conjunction with landlord approval, wayleaves will be submitted to the council for permission to commence with the build on public roads. NB: wayleaves can expire and are subject to various departments within the council for approvals. A kick-off meeting is scheduled with all the relevant parties determine the planned scope of work, thereafter contractors will commence with the actual build. There are two portions to a build as per below, within these portions you get a civil and optical build. OSP - Outside plant build - Work to be done on public roads. ISP - Inside plant build - Work to be done within the customers’ premises. Civil build - A team that will commence with laying of cabling and conduits. Optical build - A team that will commence with splicing and floating of fibre. On build completion, various quality testing is done on the link end to end. Confirm network Configuration. Access profiles will be created by means of allocating VLAN's. a. Once IRD is received, the Vox regional service desk will then contact the customer to arrange for the ONT device to be installed at their premises. b. 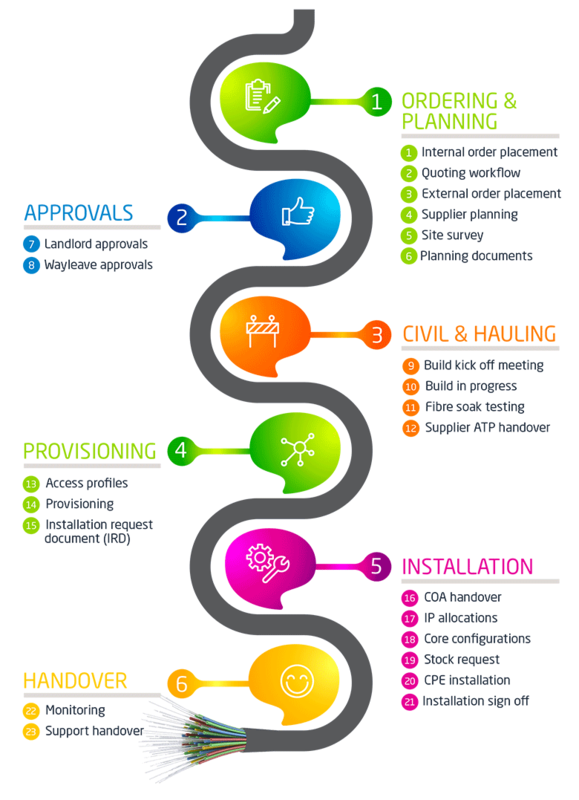 After ONT has successfully been installed and is stable, the engineer will request sign off from the customer in the form of a SWO (Service works order). The regional service desk will then send a SWO including pictures and GPS coordinates back to our vendor. Certification of acceptance, the vendor will then send a handover document including all the technical configuration information back to Vox. Public IP addresses will be allocated to the customer based on IP's being sold as part of the contract. Stock will be allocated to an engineer for configuration of the CPE (Customer premises equipment) device. Once cutover has been completed, the applicable customer representative will have to sign off on the installation. Billing will commence. Thereafter handed over to our Vox Service Centre 24/7/365. For Technical assistance, support@voxtelecom.co.za or 0878050500.